Carol Gugerty shared a great story from last weekend that shows how a little outside-the-box thinking goes a long way in making our patients feel special. On Friday afternoon, a young woman was admitted to the OB Department and informed that she’d need to remain under inpatient care until her baby was delivered. While she understood the medical need to stay hospitalized, she was disappointed that she’d miss her baby shower on Sunday afternoon. She said that the shower was planned for quite some time and that 25 people were planning to attend. She and a friend who planned the party were sad they’d have to cancel the shower they’d been looking forward to. Rather than just shrug it off, Donna Sandoval decided to go the extra mile. Donna called me and asked if they could try to stage a baby shower here at KSB for the new mother. We looked and found that the Private Dining Room was available on Sunday afternoon, so we booked the room and notified the party planner. They sent word of the location change to all the guests, and brought in decorations to dress up the PDR. Donna checked with the mother’s physician and got clearance to bring her down to the PDR where she had a fun afternoon with her friends and family. Donna and Sharon Ditzler worked to make sure everything went smoothly–both in patient care and in the baby shower. The shower guests were thrilled to celebrate, and loved that the people of KSB cared enough to offer space and help make the baby shower a success. And the OB staff didn’t mind the food and desserts the shower guests shared! You can’t help but smile when hearing about this story. 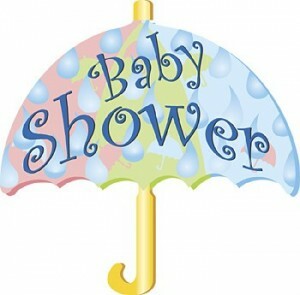 It means so much for expectant mothers to have a fun baby shower with family and friends. What a wonderful example of going the extra mile and caring for the person, not just the medical condition. A special thank you to the OB staff for their commitment to excellent service. And thank you to all employees who work every day to make KSB Hospital the best place for patients to receive care. What a great story! Thanks for sharing with all of us. Stories like this are what makes being an employee of KSB definitely something to be proud of! What a great story! It must have been just as a great time for the mother to get to see the friends and family that she would have otherwise missed. Great job to the staff for helping her have a very memorable shower!!! What a wonderful expression of what KSB is all about (The People). Great job Donna and Sharon!